Mental growth of children happens in four stages. They are also called as Piaget Stages. 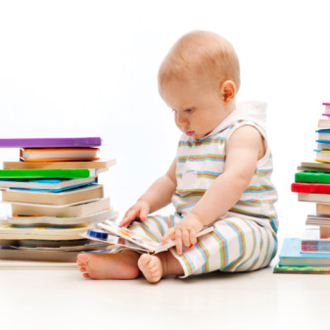 Child mental development stages are primarily concerned with ways in which infants and children acquire, develop, and use internal mental capabilities such as problem solving, memory and language. The capacity to learn, remember, and symbolise information, and to solve problems, exists at a simple level in young infants, who can perform cognitive tasks such as discriminating animate and inanimate beings or recognizing small numbers of objects. During childhood, learning and information-processing increase in speed,memory becomes increasingly longer, and symbol use and the capacity for abstraction develop until a near-adult level is reached by adolescence. Intellectual development has genetic and other biological mechanisms, as is seen in the many genetic causes of intellectual disability. Environmental factors including food and nutrition, responsiveness of parents, daily experiences, physical activity and love can influence early brain development of children. However, although it is assumed that brain functions cause cognitive events, it has not been possible to measure specific brain changes and show that they cause cognitive change. Developmental advances in cognition are also related to experience and learning, and this is particularly the case for higher-level abilities like abstraction, which depend to a considerable extent on formal education.